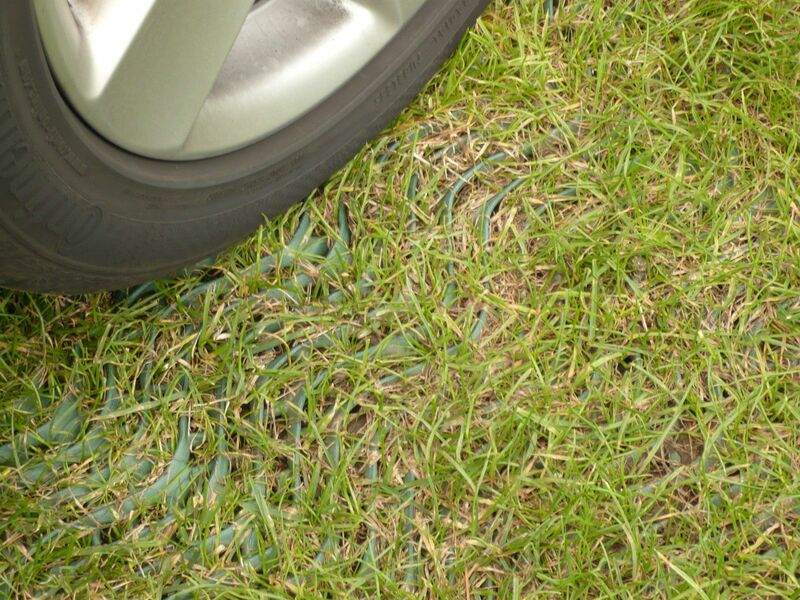 Installed onto existing grass to create a layer ideal for parking. Reduces wear, rutting and mud caused for regular pedestrian or car traffic. 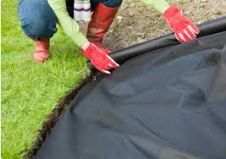 Fast to install, cost effective and suitable for homeowners and landscapers. 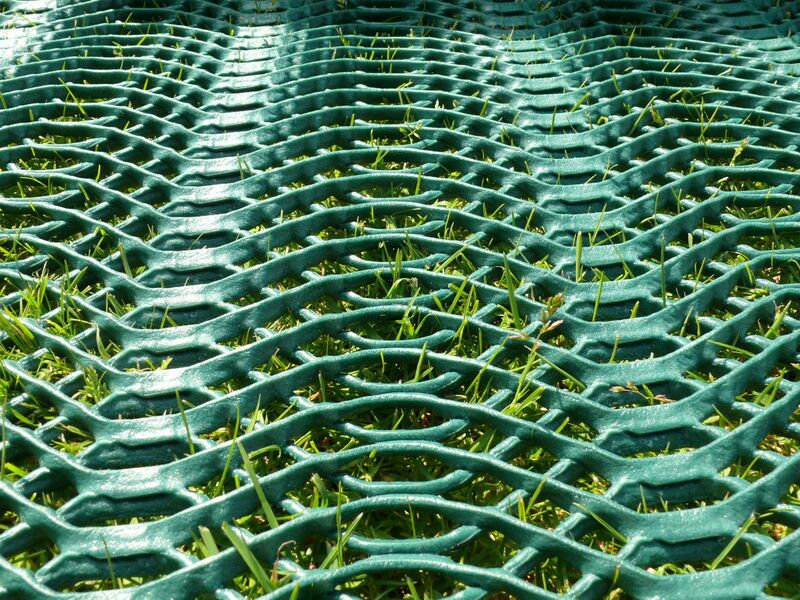 11mm thick plastic mesh protects grass roots from damage. 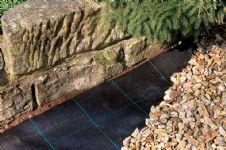 GR11 is a heavy duty thick polyethylene grid, which is slip resistant. 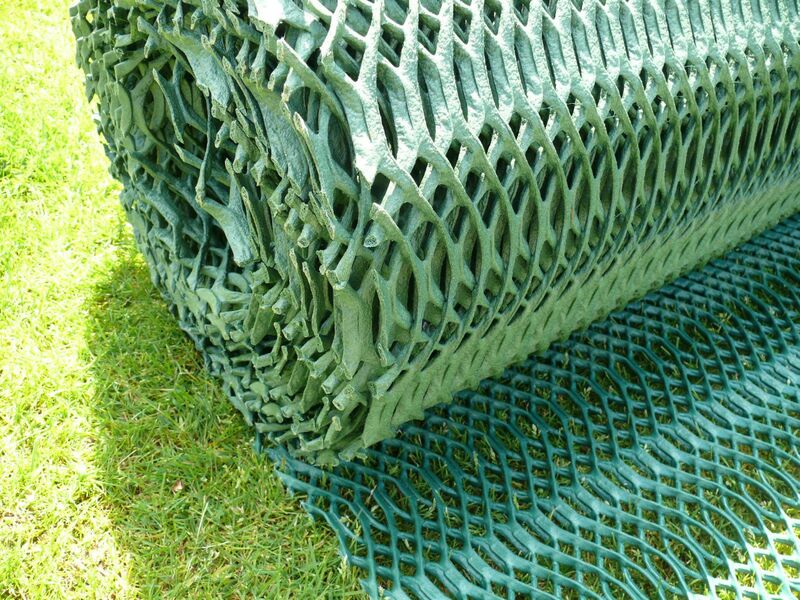 It is used for reinforcing and protecting grassed surfaces, which are prone to wear, rutting and smearing and result in muddy surfaces incapable of withstanding vehicle or pedestrian use. 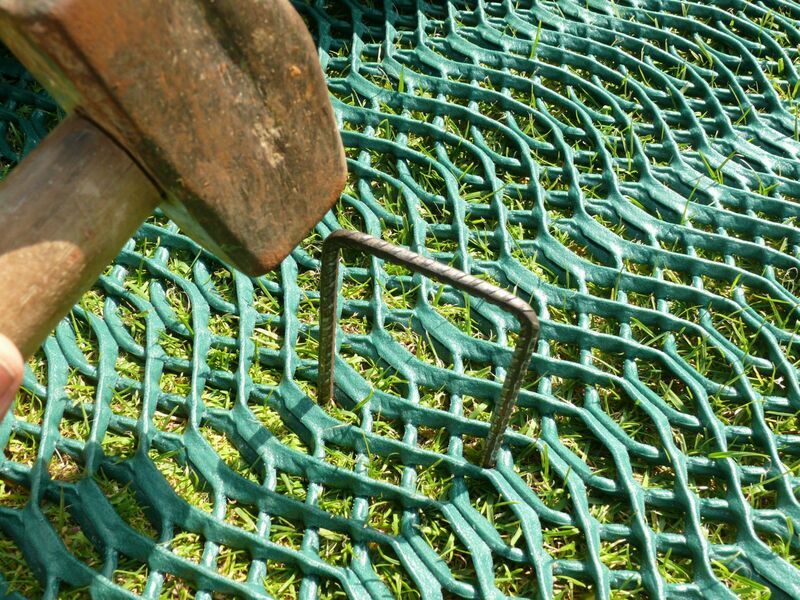 The oscillated mesh structure is designed to increase traction and bind with the grass to form a strong, almost invisible protective layer. Cut grass short and unroll GR11 over the freshly cut area. 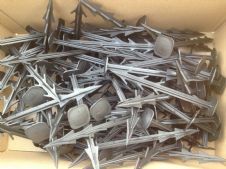 Using Steel U-pins (430103) peg the mesh down in to surface, we advise using 100 pins every 10sqm. 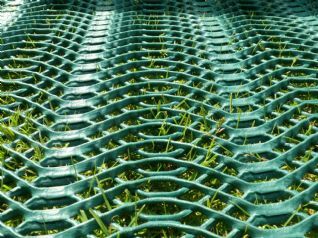 Once grass is growing through the plastic mesh aperture, the grass swards intertwine with the plastic mesh filaments and create a strong discreetly reinforced grass surface. 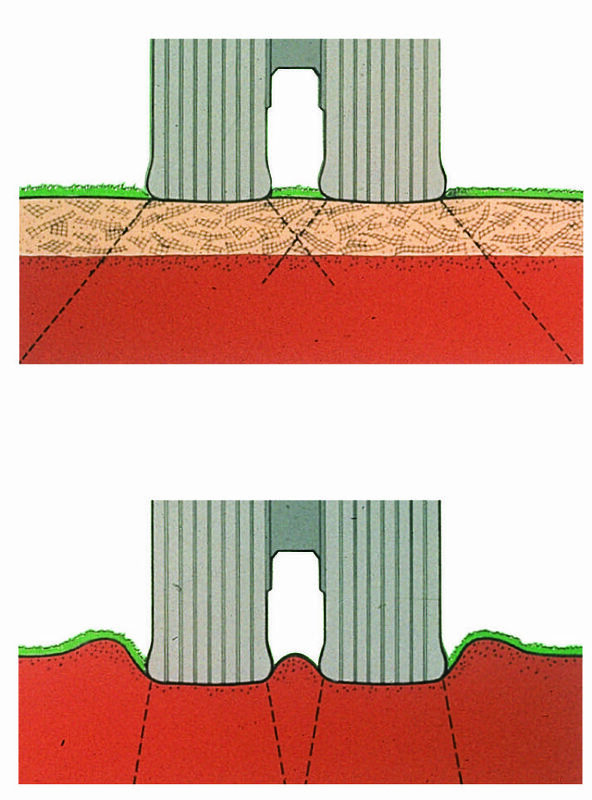 GR11 can be installed onto newly landscaped areas with the soil seeded as required. Shipping to UK Mainland is free! 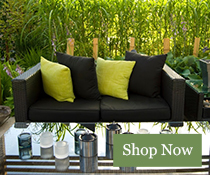 We also offer a 24 hour service for a small extra charge! Shipping to Non-UK Mainland & Surcharge areas. Please note: Carriage is to mainland UK only. Please contact us for offshore (i.e. Northern Ireland, Channel Islands, Isle of Man, Scottish Islands) carriage costs. The postage fee advertised is for the majority of UK mainland addresses. Unfortunately, some postcodes will incur an extra charge from our courier. 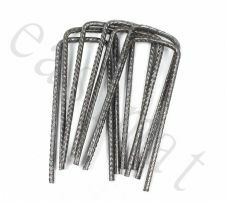 We are more than happy to get a cost for you before you place the order, alternatively we will contact you with any additional cost after the order is received. AB1 - 56, BT, CA18-27, DD, DG, EH, FK1 – 20, G, GY, HS1 - 9, IM, IV, JE, K21, KA1 – 28, KW1 - 17, KY, LA15, LA23, ML, PA1 – 61, PH1 - 44, PO31 - 41, TD, TR21 - 25, ZE1 - 3.